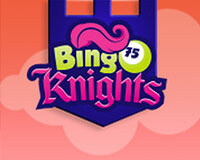 Bingo Knights is an online casino powered by Parlay and Realtime Gaming owned by Wisol International. 94 results for Bingo Knights. Max cash out: $500. Games allowed: T-Rex slot. One day promo, join the slot tournament and play real cash games. Games allowed: Bingo, Slots, Keno.. This bonus is valid for new and existing players. Wagering requirements: no wager. Max cash out: no max. Games allowed: Bingo, slots, keno. Wagering requirements: no wagering required. Max cash out: no max . Games allowed: Slots, Keno, Bingo.